Are you tired of watching all of your friends getting engaged while your boyfriend drags his feet and makes excuses? Well, today may finally be your day. March 20th is officially Proposal Day! It is the day specifically set aside for stubborn men to stop hesitating and pop the question. The holiday was invented by John Michael O’Loughlin, who was tired of watching his cousin strung along by her boyfriend. So he did something about it. If you find yourself engaged (Finally!) after Proposal Day, you know what that means: wedding planning. You will have to sort through the sea of possibilities in Baltimore, Maryland to find the perfect venue, caterer, and, of course, Wedding DJ. It is not an easy process. It takes time, research, and a great deal of patience. Step 1: Figure out your budget. This will help you narrow down your search. Step 2: Know what you want. You have been planning your wedding in your head since you were a little girl. You know exactly what you want, so don’t compromise. Step 3: Don’t be afraid to ask questions. The more you know about each venue, caterer, and wedding DJ, the better. 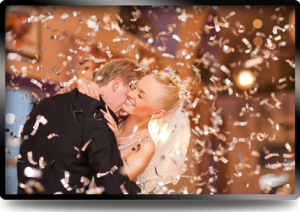 Click Here to find our list of questions to ask your Baltimore Wedding DJ. Step 4: Keep a detailed list of the pros and cons of each place you visit and person you talk to. This will be helpful when trying to make the final decision. And snap a few photos while you are at it. After you have visited a few venues, they all start to blur together. Step 5: Stay calm. It will all work out. Just have patience. For more than 20 years, DJ Ray Bachman has honed his craft, becoming one of the premiere Wedding DJs in the Baltimore, Maryland area. 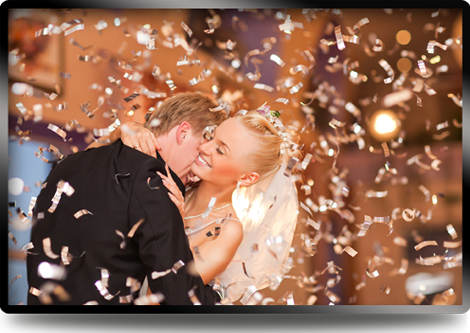 DJ Ray prides himself in making your wedding reception perfect from beginning to end. So don’t take a chance with your “Once in a lifetime” event. Pick up the phone today and call DJ Ray Bachman. If you are looking for a great Baltimore Wedding DJ, look no further. If you have any questions or wish to book DJ Ray Bachman for your wedding, please call 443-722-6059 or visit DJRayBachman.com today to receive a free, no-obligation consultation with DJ Ray Bachman to discuss your event! This entry was posted on Thursday, March 20th, 2014 at 5:12 pm	and is filed under Baltimore Wedding DJ. You can follow any responses to this entry through the RSS 2.0 feed. Both comments and pings are currently closed.